The Villanova College crest consists of three Vs, the heart and an open book. The large central V signifies ‘Villanova’ and the smaller Vs represent the College motto, ‘Vincit Veritas’ (“Truth Conquers”). The words were inscribed in a stained-glass window at the Whinstanes house where Villanova began in 1948. 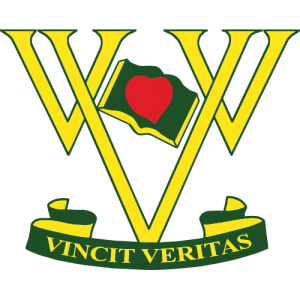 Vincit Veritas was adopted as the College motto, because of its close relation to St Augustine’s dictum: “Quid gloriosius, fratres, quam subjici et vinci a veritate?” (“What is more noble, brothers, than to be conquered and governed by truth?”). The heart is the symbol of the love that inflamed his whole being and urged him to continue the quest until he was secure in the possession of truth itself. Fr Seary OSA, Villanova’s first Sportsmaster, lives on in the daily life of Villanova students, especially those involved in any branch of the broad sporting program at the College. 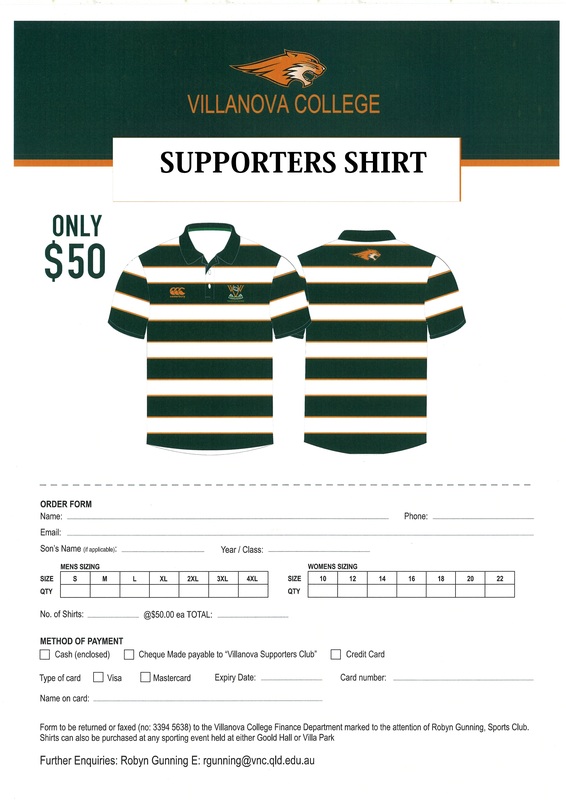 Along with the naming of the Fr John Seary Oval at Tingalpa, Fr Seary OSA is remembered by the College war cry, which he wrote. Below is a version of Fr Seary OSA’s handwritten copy of the war cry. 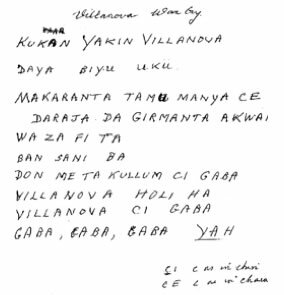 He wrote the chant in the Hausa language, spoken by the people he worked with and loved in Nigeria for many years. To our dear old alma mater and our College days. Villanova, truth will conquer, but in all things love. With a prayer for Villanova and a last Amen.